1 rescue | This Blog Rules | Why go elsewhere? 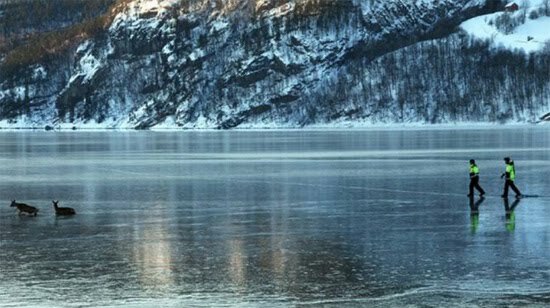 Father and son from Norway took action when two deer struggled on the slippery surfaces of Sirdal lake.The movie “Bambi” is one of Walt Disney most beloved cartoons, and especially the scenes where the deer and rabbit friend Thumper playing on an icy water. – It happens relatively often that they must be saved on land.